When Juliet Cole’s husband of fifteen years is gunned down in a dark parking lot before her eyes, she thinks it was a random shooting. Devastated and traumatized, she answers hours of questioning. When she’s finally allowed to return home to break the news to her boys, she hears a voicemail that takes the situation from a random shooting to a planned, deliberate attack. ‘Mrs. Cole, we know you have access to the supply and the money. If you don’t turn fifty million over to us and give us the codes, then you’ll be burying more family members.’ Suddenly, Juliet realizes that she and her children could be in danger. She teams up with her sisters and PI Michael Hogan to dig into the sham Bob has been living for years. The more she learns, the worse the betrayal. A drug trafficking history, a fortune in cash, and a secret family all emerge to turn Juliet’s belief system on its head, and threaten the things she loves. What a fantastic book!! 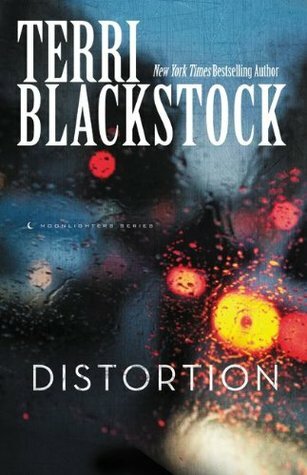 I haven't read anything by Terri Blackstock and this one was superb on every level. Fast moving suspense with every page. This is the second book in this series though it could be read alone. I am going to go back and read the first one because it has the same people in it and is talked about in Distortion. The characters are great, I love how the family pulls together when tragedy strikes. After the murder the story continues to spiral for Juliet and her kids. Right when you think things can't get any worse, they do! Juliet and her sister become sleuths on trying to figure out exactly who her husband was, since apparently she had no idea! If you love suspense this is a fantastic book. I highly recommend! Stop by Terri's website to learn more about her books. Look for this book March 14, 2014! I discovered you when I posted my own review of Distortion on the Litfuse site. I am a retired school librarian who now enjoys reading and blogging about Christian fiction and inspirational nonfiction. I also quilt, garden, and collect cookbooks (reading those can be as compelling as a good novel). My husband of 42+ years and I have 3 adult children and six grandchildren. Spoiling those grandkiddos can be a full time job. I would love it if you would drop in at my blog Thoughts from Mill Street (http://thoughtsfrommillstreet.blogspot.com) I am also on Goodreads and love finding out what others think about what they are reading. I know it was written so well it's on my favorite list!